We are pleased to launch an exclusive new tariff available for members of Defence Discount Service for National Express. The £15 Anywhere to anywhere return. 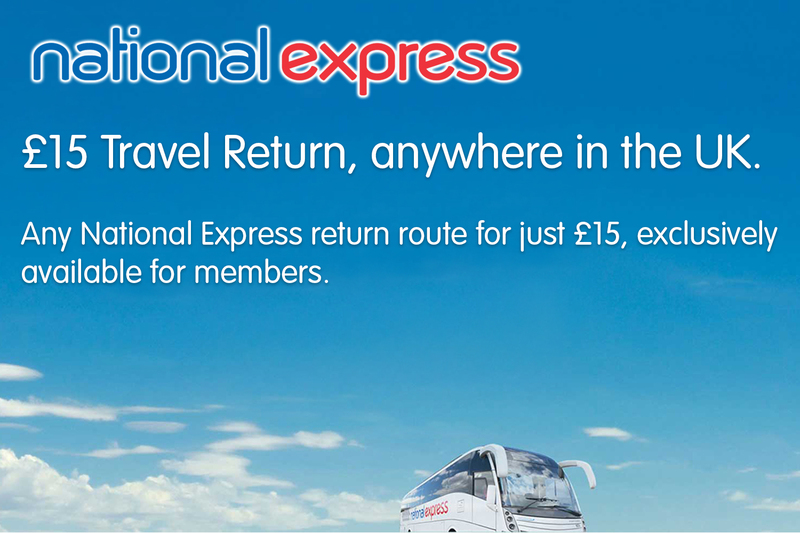 This new offer allows members to purchase a voucher that will allow them to book a journey with National Express from anywhere, going to anywhere return, for just £15. National Express do already have some great offers on the Defence Discount Service website for members, offering serving members a 60% discount and all other members 30% discount. These great offers are still available for members, with the new tariff being available for journeys that may still be over the £15 mark. 6. Receive your tickets on email in e-ticket format. The Defence Discount Service app is brought to you from the official Ministry of Defence discount service for the UK's Armed Forces, Veterans and Armed Forces community. 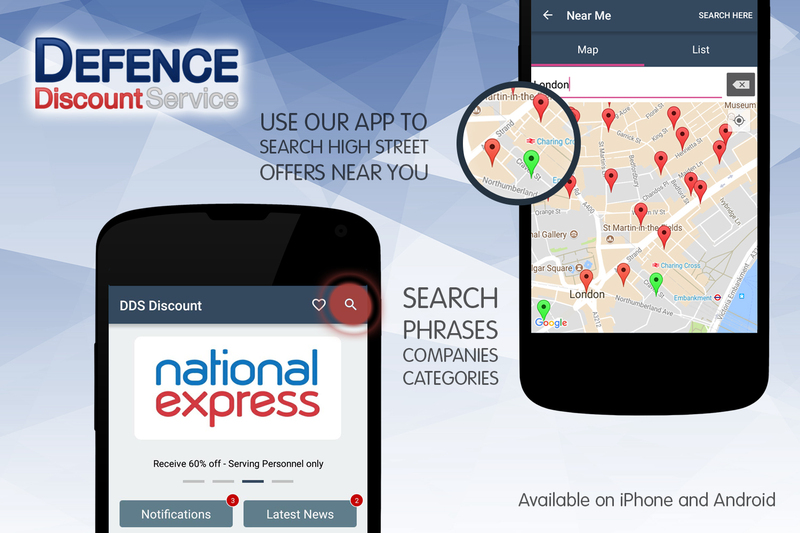 With thousands of offers available through Defence Discount Service, our app acts as an ideal way to search, find and remember those offers that are of particular interest to how and where you shop. We have designed the app so that all offers and features are simply a swipe or a touch away. You can apply for your Defence Privilege Card on registration. We’ve introduced Defence Discount Service news articles so you can stay up to date with the latest companies joining the service. You can receive notifications from the companies you follow and from Defence Discount Service. Defence Discount Service are pleased to announce our partnership with The Body Shop. From the 18th of December, Defence Discount Service holders can get a 25% discount in store and online. This is a great new partnership for Defence Discount Service and adds another major high street brand to the discounts that Defence Discount Service provides. Would you like to be part of the ceremonial parade? This is a special day for many, and Conwy Council are looking for Veterans from across the Country and Tri-Services to join the march. If you would like to take part, they would love to hear from you. Please get your registration forms to them no later than 28/02/2018. 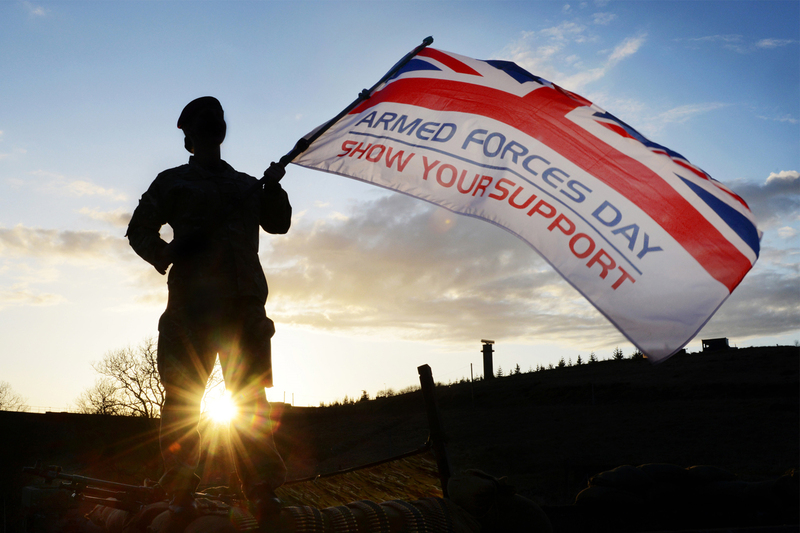 The ceremonial parade will take place on National Armed Forces Day around midday on Saturday 30th June 2018. Please note: You must complete this form and send to events Conwy by the deadline (28/02/2018) in order to be considered. If you are unsuccessful of a place in the march, there will be other opportunities available. 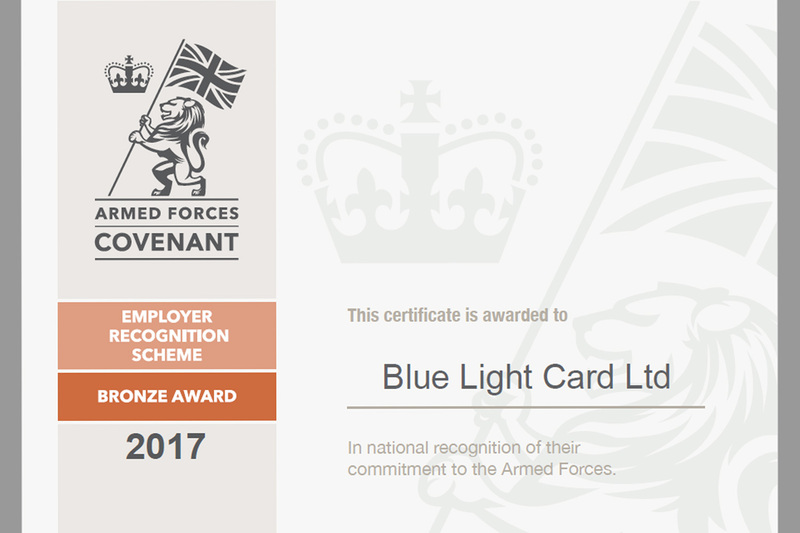 Blue Light Card Ltd, owners and operators of Defence Discount Service are delighted to announce that we have been awarded the bronze award from the Armed Forces Covenant Employer Recognition Scheme.